Matt Kelleher is an assistant professor at Alfred University. 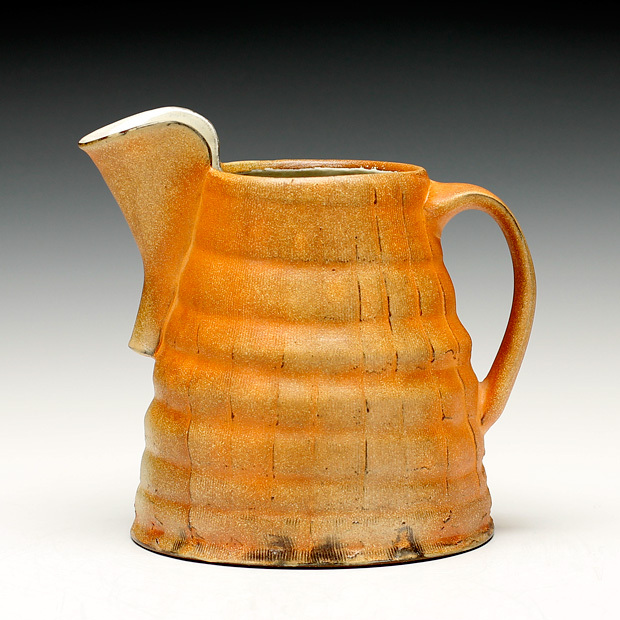 He brings ten years experience as a studio potter to this position that includes a three-year residency at Penland School of Crafts in North Carolina. 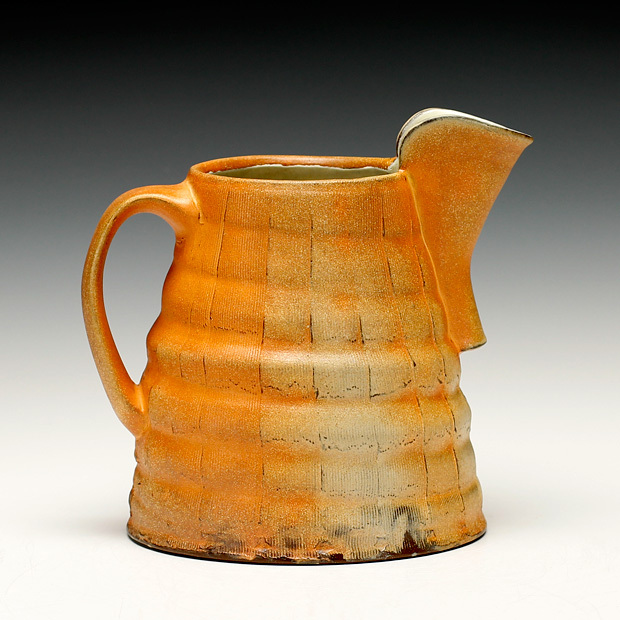 Matt studied ceramics at the Kansas City Art Institute under Ken Ferguson and Victor Babu from 1993-1995. He received his MFA in 1999 from University of Nebraska-Lincoln where he studied with Gail Kendall, Peter Pinnell, and Eddie Dominguez. Matt was also an Artist in Residence at the Archie Bray Foundation and Shigaraki Ceramic Cultural Park in Shigaraki, Japan. 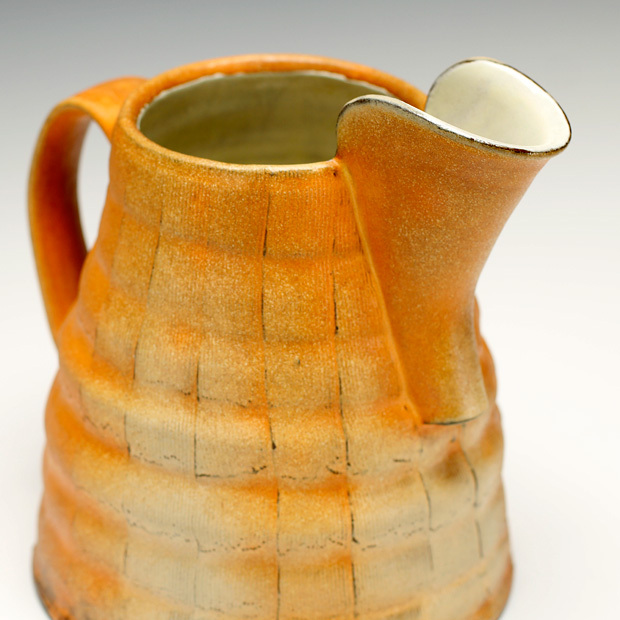 Pottery is a continuous curiosity; how it’s made, how it feels, its shape, its surface, how it exists in a home as an object, or a tool, or maybe an image. When making pottery, I search for poised forms that suggest sculpture, respect utility and perform well; they should be confident and handsome. I create my surfaces for contemplation. Moods are suggested with warmth, fluidity, and translucency. Atmospheres are veiled with fog and cool mist. Pouring and layering slip, I respond intuitively to the qualities of liquid. 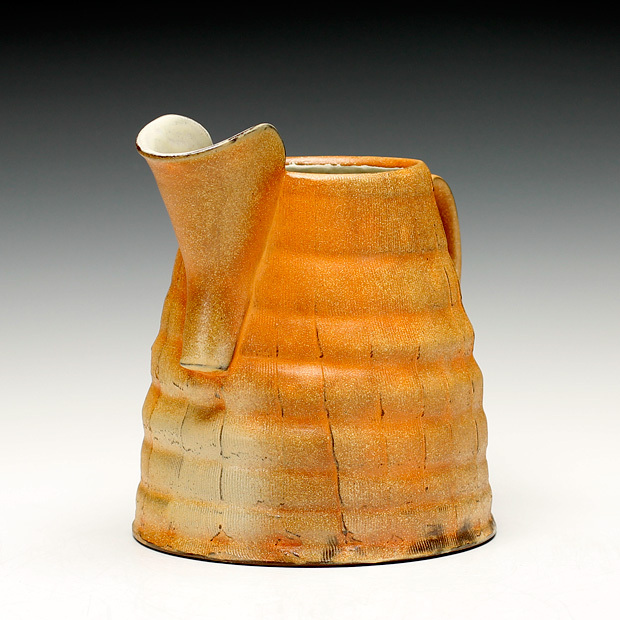 Slip warms up during the firing, the surface dampens and layering is revealed. The relationship between form, firing, and my hand is complete. Each piece is ready for a conversation and willing to be part of a greater surrounding. Aware of the tendency to put parameters around my work, of what is “good or bad”, I do my best to give the ideas room. It is important to pursue the clues that linger on the periphery of my pottery, which are often sculptural and beyond the scale of tableware. The process each new idea reveals drives me forward.